I don't always get a lot of sleep. if I took some time to put some on! I just got my hair cut--it looks almost exactly like hers..
short and two different colors....so cool. genealogy, and I do admin type stuff at work. I love her in spite of her silly, glamorous flaws! P.S. I didn't create her...someone far more talented than me put her parts together. P.S.S. Thank you "Far More Talented" lady! 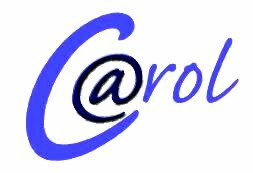 Oh Carol, I love your new banner!! It is so you darlin'! I love your signature too! Super cute ans fun! I love your new lady! She is adorable, just like you! Have a wonderful weekend, but please open both eyes before you use a rotary cutter! Love it!!!! you know you're gorgeous Carol...you must have had fun making this new page...I don't have that talent....nice job!! Take a pic of you and let us see.. 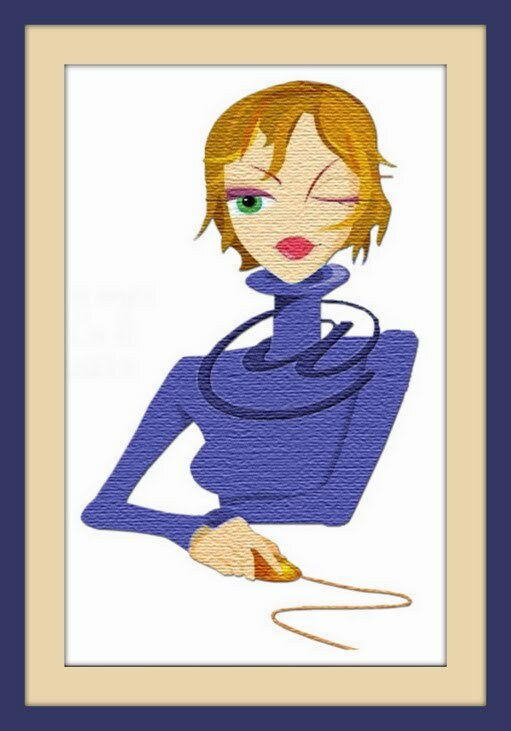 I bet your just as adorable.. refresh your blog with the gorgeous you !! A virtual makeover! Lovely ladies-both of you. Your new "you" looks great-- I am sure the muse was a good model to base her on! She looks great! I just tried to send an email to the address in your profile and it bounced back (have a question for you that I don't want to ask in the comments section) Can you please email me?